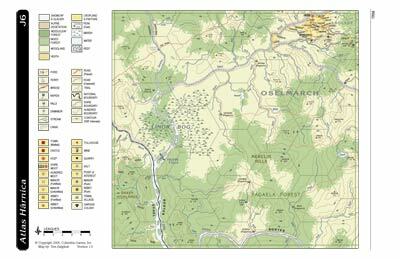 Atlas Hârnica map J6 covers southwestern Kaldor and parts of Evael, the Elven Kingdom. Jedes Keep is the only major civilized area. 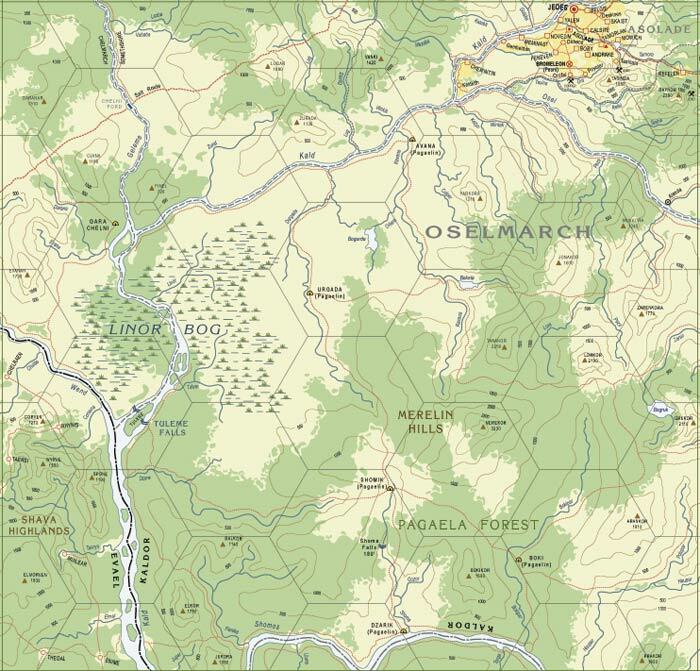 South of the Osel River lies a large area known as the Oselmarch, claimed by Kaldor, but controlled by Pagaelin tribesmen. Pagaelin villages are named and located on the map along with the native names of lakes and rivers. The impassable Tuleme Falls and vast Linor Bog are the dominant natural features. The map area is bounded to the south by the Shomos River.